There are at least nine artists called Human. 1) Human are a Death Metal / Grindcore band from Christchurch, New Zealand and have been a functioning band, recording and touring since March 1992, with logos in place since December 1991. Human formed in a one-room bedsit in the inner city area of Christchurch, New Zealand. The band was founded by brothers Paul (drums) and Scott Harrison (bass) and friend Nathan Ballard (vocals and guitar). The band recorded a 3 song demo titled "Organ Splatters" and made their mark in New Zealand's metal scene with a bang. Human formed in a one-room bedsit in the inner city area of Christchurch, New Zealand. The band was founded by brothers Paul (drums) and Scott Harrison (bass) and friend Nathan Ballard (vocals and guitar). The band recorded a 3 song demo titled "Organ Splatters" and made their mark in New Zealand's metal scene with a bang. After hundreds of shows, several television appearances, tours, recordings, line-up changes and music videos, Human stands today as one of the only NZ metal bands to keep their style and sound intact. Human have performed with the likes of Nomeansno, Pungent Stench, Dragonforce, Cannibal Corpse and Suffocation to name a few. Check out their tracks; "Blasting Through The Foreheads Of The Dead", "Night Of The Living Bread", "Paytoilet Of Despair" and "We Come In Pieces" on LastFM. Accept no imitators. 2) Human is an ambient dub group comprised of Michael Kohlbecker and Klaus L?schner; their track on Waveform's "EarthJuice" compilation also featured Gabrielle Mar on guitar. 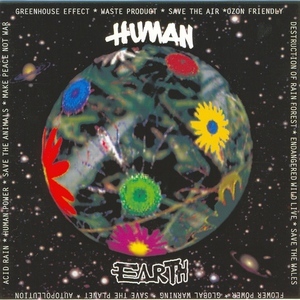 3) Human is a polish hard rock band founded in 1993. They recorded a good, quite heavy and rather ambitious album "Earth", which got really good reviews. Unluckily it didn't reach commercial success and the group split up in 1994. 5) Human is a rock band from Herceg Novi,Montenegro.